Edinburgh: John Bartholomew & Son Limited, 1973, Hardback in Dust Wrapper. From the cover: “After years of research on the subject of slimming Doctors and Dieticians alike have arrived at the same conclusion, there is no single satisfactory method of slimming. The only method guaranteed to work, is a combination of suitable exercise and a sensible diet. 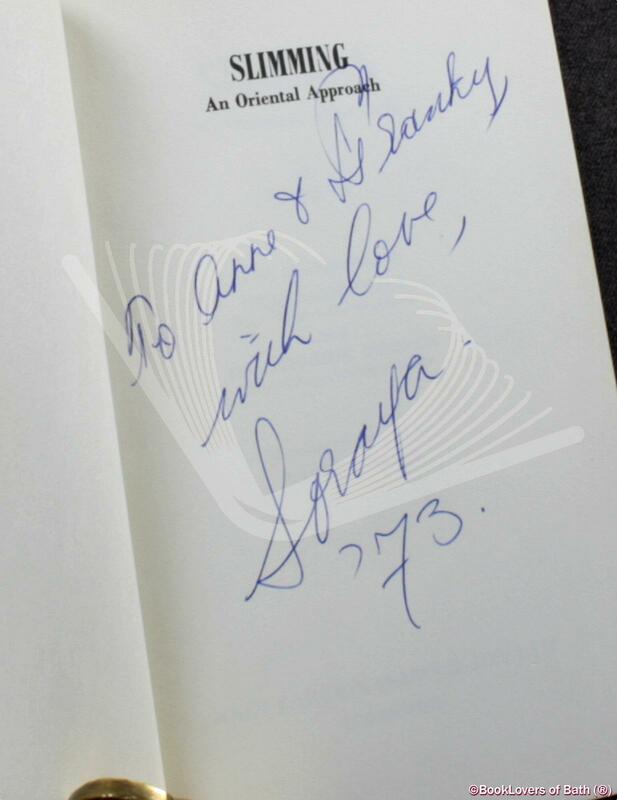 There are many books on slimming techniques, some advocate massage machines, slimming garments, or other mechanical aids, but they have proved to be of little value in reducing weight, unless they are combined with exercise and sensible eating habits. 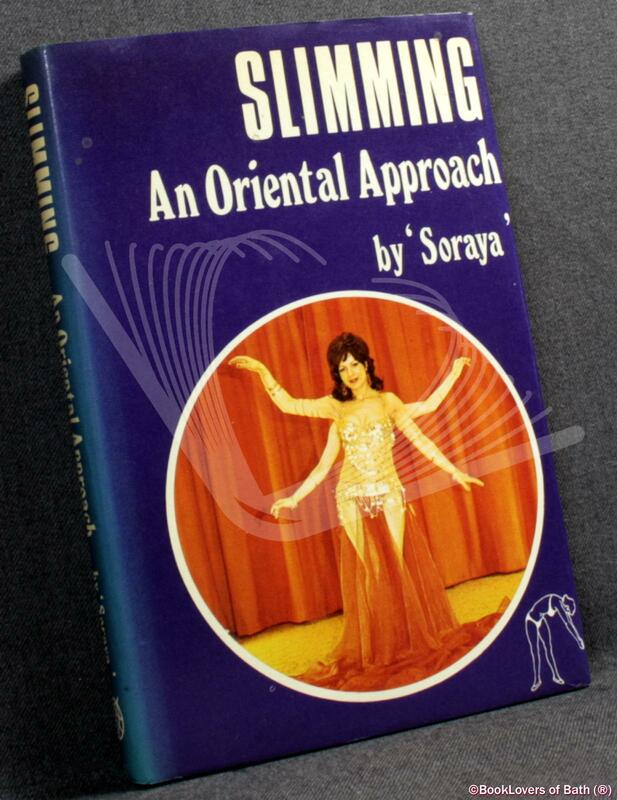 This book has been prepared by scientists who have made an exhaustive study of the calorific values of oriental foods and have worked in close liaison with SORAYA the world’s most famous belly dancer, to produce this book. Illustrated by Ray Theobald. Size: 7½" x 5". Purple boards with Silver titling to the Spine. [VI] 165 pages.